"CKAS Mechatronics specialises in Simulation Engineering, including all aspects of Simulation with particular focus on the Aviation and Driving industries" Download our Company Brochure. CKAS offering FREE WORLWIDE (CIP) PACK AND SHIPPING to your local major international airport on medium to large scale motion systems - CKAS is now your LOCAL motion system supplier! Limited time only. CKAS introduces heavy discounts and price reductions across all medium to large scale motion systems for a limited time! All projects can now have excellent fidelity low cost high value motion. 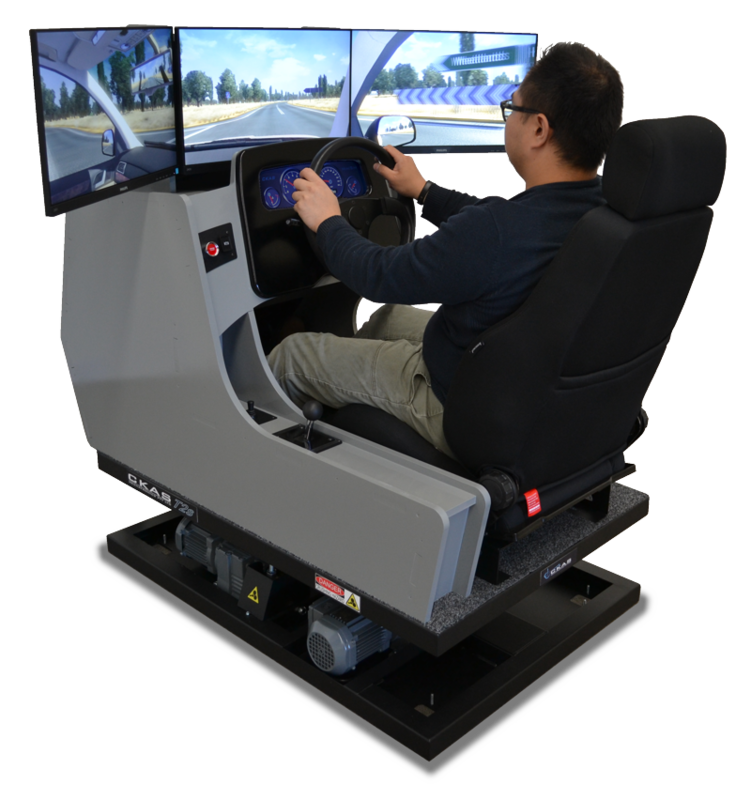 Best value in class driving simulator designed to replace real vehicle for learner driver training. Featuring outstanding realistic graphics and other features at the price of a small car.